for LEDs, displays and components. Diffusing materials and secondary optics used for LED lighting products development help designers and engineers control the lighting performance. This means that LED based lamp and luminaire manufacturers need dependable luminance testing solutions that allow them to verify luminance uniformity when diffusing materials are used and assess the maximum luminance levels in order to avoid problems with glare. All touch screen control panels, displays, backlit keyboards and signs need to be verified during the R&D and development stage to control product performance and consistency. With increasing applications of LED lighting products continues to expand, comes higher demands for onsite luminance measurements for the purpose of lighting audits of new and retrofit LED installations and maintenance control of the existing indoors and outdoors lighting installations. The GL OPTI CAM 1.0 is a high performance optical camera system at an entry level price. It is equipped with a high resolution CMOS image sensor with V-Lambda correction filter to replicate human response to brightness and lens optimized for precise luminance measurements. 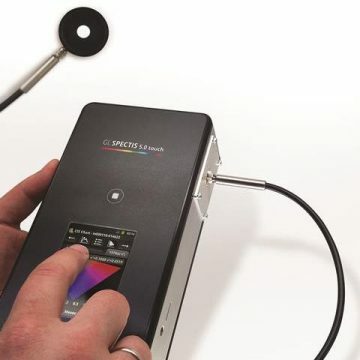 If you need luminance and color testing the additional functionality is available in combination with our GL SPECTIS 1.0 Touch spectral device. This high resolution and high sensitivity camera system is preconfigured for immediate luminance measurements in the laboratory, production or field application. 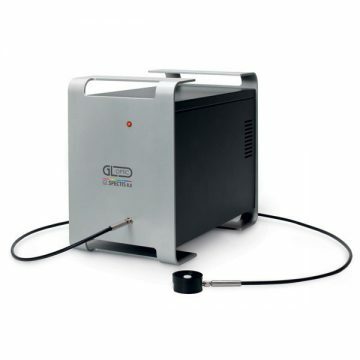 Whenever you need fast and precise luminance testing you can plug and measure with our imaging luminance camera for LED and other light sources. Each luminance camera is equipped with V(λ) optimized filter and individually calibrated. When selecting components for your new product or choosing a new supplier, you can validate the quality of these immediately. This will help you chose the right components and achieve better product performance. Using a luminance measurement camera system directly in the R&D department will improve quality control and save time and money. You can get better control over your R&D process and decide onsite about modification and/or compliance. LED module manufacturing requires quick and dependable optical system for luminance quality control. This Imaging Luminance Meter can be integrated into production inline and off line testers for LED modules, displays and instrument cluster testing providing reliable and practical data for pass fail production monitoring systems. 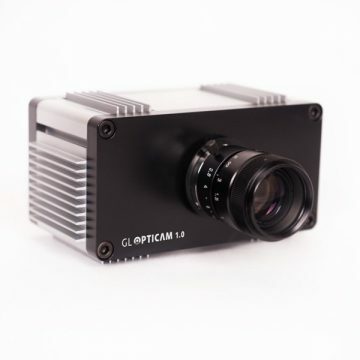 The development of the OptiCam imaging luminance instrument was triggered by existing customers from automotive and household appliances electronics industries. They needed an accessible and dependable camera system for quick and reliable component testing during the incoming QC, development up to the production testing. It quickly became apparent that the same system is also required by many other customers dealing with LED based lighting products and require practical and easy-to-use instrument for in house and onsite luminance measurements. The GL OPTICAM 1.0 was designed based on the new CMOS monochromatic image sensor from Sony combined with our V-lambda class A correction filter and carefully selected lens for multi-purpose luminance test and measurements. Compact housing design makes this instrument a practical tool which can be used in different places while maintaining laboratory accuracy performance. This light camera luminance meter supported by our GL OPTICAM SOFT analytical software allows the user to set and measure different objects in no time. Simply plug this calibrated imaging luminance meter to your PC where you can monitor the image and set parameters and measure the luminance simply by recording the image of the device user test of luminance scene. The analytical software will detect default areas of interest, show luminance level, histograms and will immediately display other useful data. The system helps to analyze specific details and regions and even provide necessary corrections. This instrument provides absolute luminance accuracy just like a typical laboratory device. When the lighting fixture or electronic board is using different color LEDs the standard OPTICAM 1.0 luminance meter can be combined with our GL SPECTIS 1.0 Touch spectral device to support luminance and color test and evaluation. Our GL SPECTROSOFT features an option to combine the measurements from the luminance camera with the spectroradiometric measurement. As result we are able to provide mismatch correction for luminance values to get the highest accuracy and provide all colorimetric and spectral data for the LED product uder test. 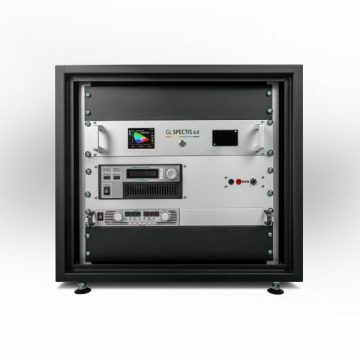 Preconfigured and individually calibrated digital luminance camera system for immediate testing of light components and light device quality control. Put this instrument on the tripod in front of the lighting system and measure absolute luminance level. Use this instrument in the laboratory, product testing and field measurements for lighting systems quality control. Each camera is equipped with the specially selected class A optical corrected filter to provide the highest quality of luminance measurements corresponding with the human eye sensitivity. Each filter is optimized for each CMOS sensor individually. This new image luminance camera can be combined with our spectral instruments like GL SPECTIS 1.0 touch to expand the quality control with the colorimetric values like CCT, CRI and many more. Additionally it will also provide an automatic filter miss match correction procedure and support the measurements of multiple color LED devices testing.